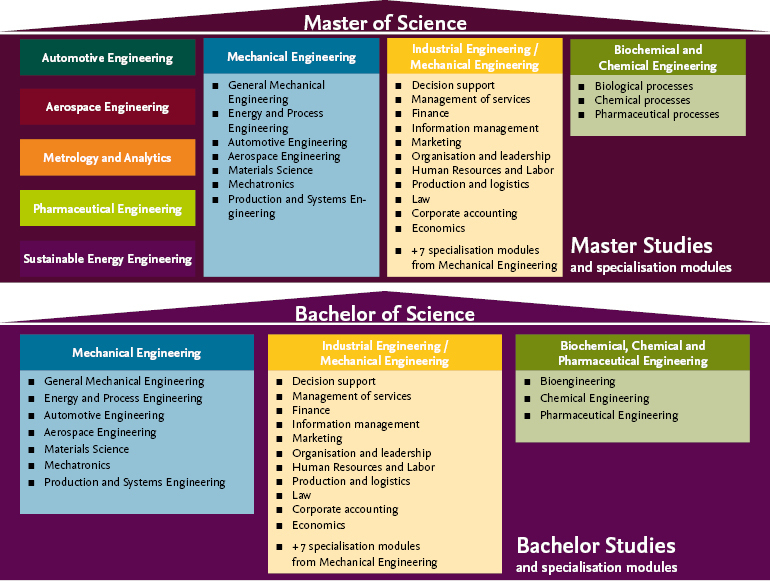 The prescribed period of study for a bachelor degree course is six semesters. The basic courses are taught in the first semesters before the students choose a focus from our three areas of study based on their personal interest. In the sixth semester, the programme is concluded by a bachelor thesis. The master degree courses are based on the bachelor degree courses and are usually completed after four semesters. The students continue in the chosen focus area and complete their degree with a master thesis.